Wolves runner Jamie Wigmore literally ran over the competition at the inaugural ACAC Indoor Track and Field Championships in Edmonton. The second-year athlete amassed three gold medals and a bronze in the two-day meet. Wigmore finished the indoor season unbeaten against ACAC competition winning a total of 5 individual races in three different meets. For her efforts, she was named the winner of the ACAC Indoor Track Grand Prix. Collectively the Wolves women placed third in the ACAC Championship team standings behind MacEwan University and Lethbridge College. 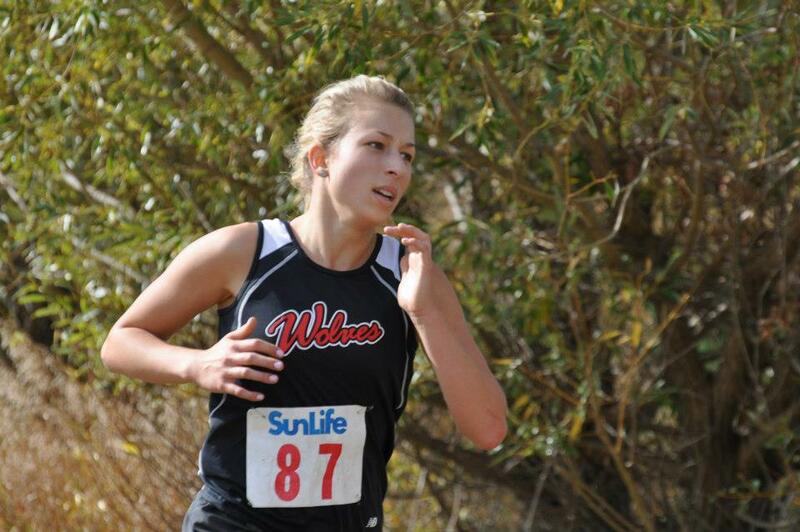 Wigmore wasn’t the only Wolves runner to record a victory at the ACAC meet. Hayden Hollowell upset pre-race favourite Solomon Ngetich from Lethbridge College in the men’s 1500m. Hollowell pulled away in the final 300m to record a time of 4:13, 3 seconds clear of Ngetich. In the 3000m, Ngetich and teammate Edwin Kaitney, turned the tables on Hollowell, placing 1 and 2. Hollowell claimed the bronze in a time of 9:13. The Wolves men placed 4th in the team standings behind Lethbridge College, SAIT, and Concordia University College respectively. Elsewhere on the weekend, Wolves alum Fiona Benson, now running for Trinity Western University, scored the biggest victory of her career, capturing the 1000m at the Canadian Interuniversity Sport (CIS) Championships hosted at the University of Alberta. Benson also placed 10th in the 1500m and ran a leg on TWU’s 5th place 4 x 800 team. This entry was posted in Indoor Track and Field, Uncategorized and tagged ACAC, GPRC Wolves X-C Running, Track and Field, Wolves Athletics Club. Bookmark the permalink.